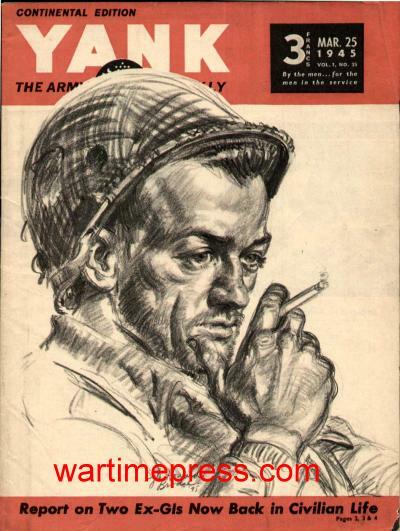 Yank Magazine was written by enlisted men for enlisted men. It was published from June, 1942 through December, 1945. This link to Wiki gives more details. I have the issue with the Sad Sack cartoon. Sad Sack was classic. 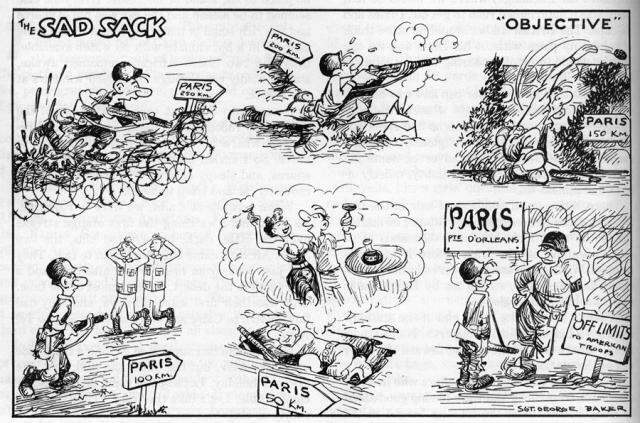 Here the poor Sad Sack fights his way into Paris only to find it “off limits” to the lowly foot slogger. Suffice it to say Yank had a bit of everything for the enlisted man. There were combat reports from both theaters of operation as well as “puff” pieces that dealt with entertainment for the GIs. There was a mail call section where GIs could sound off about just about anything (and do) and a sports section. Each issue also had the ever popular pin-up. 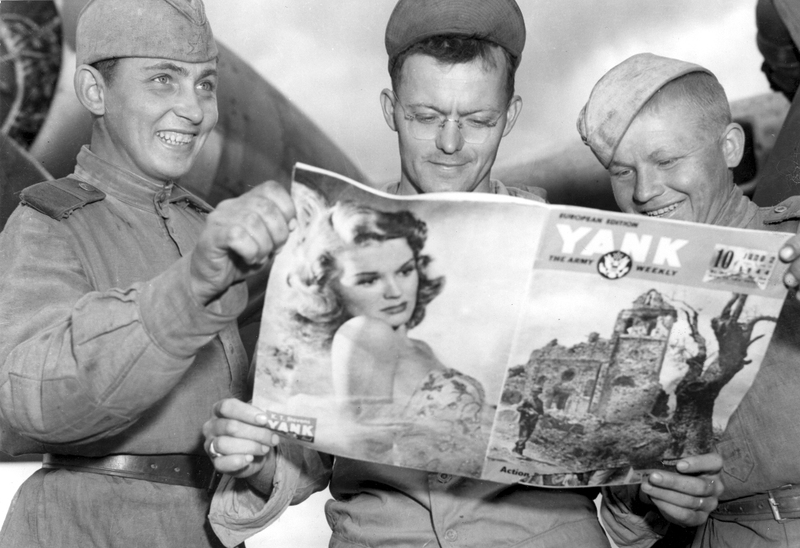 In short, Yank was a type of guy’s magazine designed to keep the men in uniform connected, informed and entertained. It was hugely successful. Am American flanked by two Russian soldiers with a copy of Yank. In paging through my copies I found it interesting to see what was reported, how it was reported and how accurate the reports were if I can tell looking back over 70 years. My plan is to list each issue and it’s features on this blog individually while making commentary and observations. These magazines are time capsules and I feel like an archaeologist who just got lucky finding them!